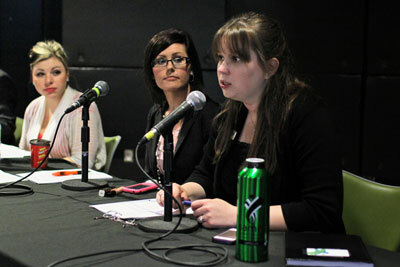 Several bylaw revisions were taken to the student body at a special general meeting on March 28. Despite some debate and requests for clarification, the Students’ Association of Mount Royal University passed all of the proposed changes. Guidelines around disciplining members of the Students’ Council were altered, up to and including removal from office. The changes involved “procedures for receiving and reviewing allegations of misconduct, a process to accommodate whistleblowers and the ability of Council to suspend members accused of misconduct pending investigation,” according to a summary. Bylaw 12 was also changed to more evenly spread responsibility among the executive committee by assigning many general governance duties to the entire committee as a whole instead of just the president. The executives received title changes and will now be known as VP student external affairs, VP student university affairs and VP student academic affairs. Another notable revision sees non-executive council members holding two-year terms to keep board continuity. In addition, the maximum number of terms for a council member was reduced to three from five. Along with the bylaw changes, SAMRU released an FAQ intended to address concerns about transparency, reiterating that it could not legally release any information about the circumstances of former president Meghan Melnyk’s resignation.